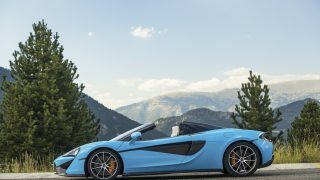 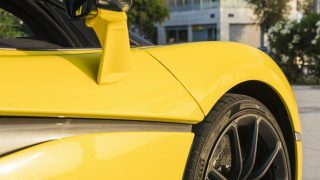 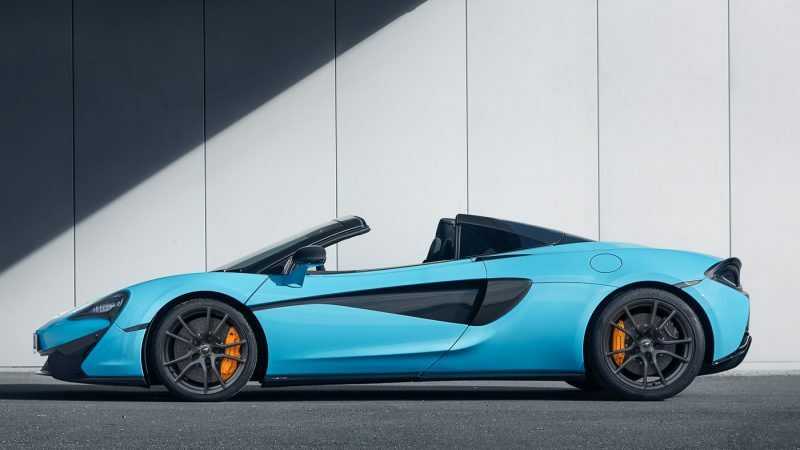 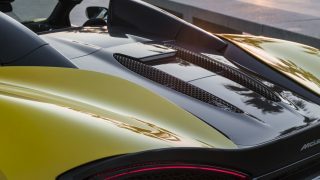 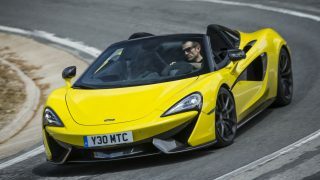 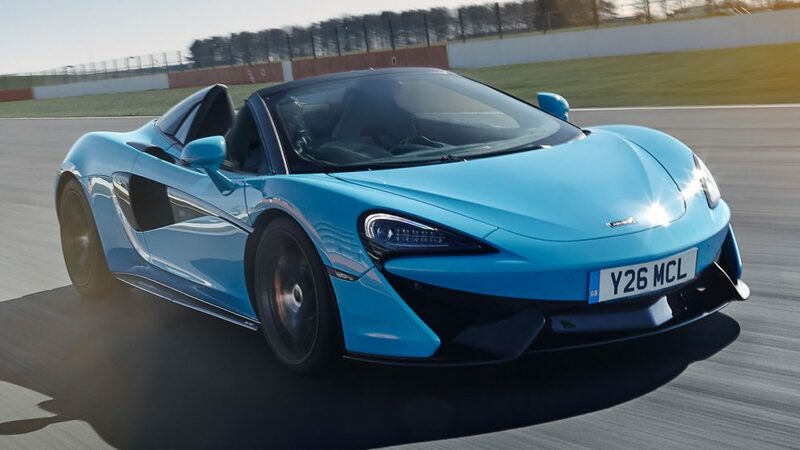 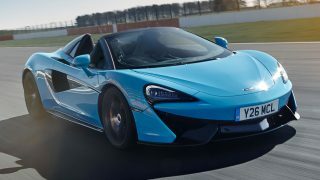 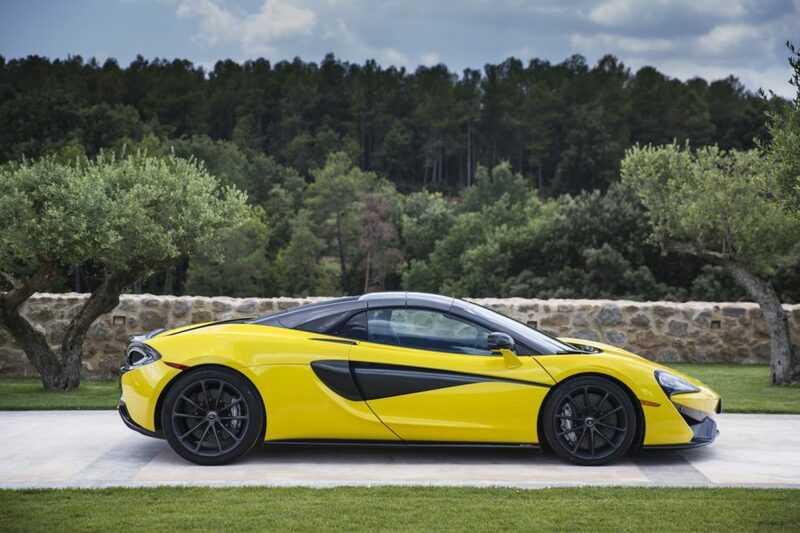 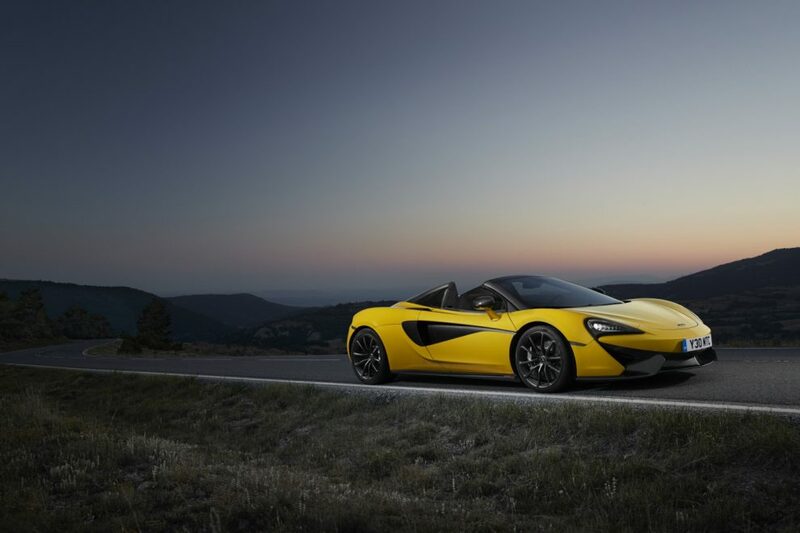 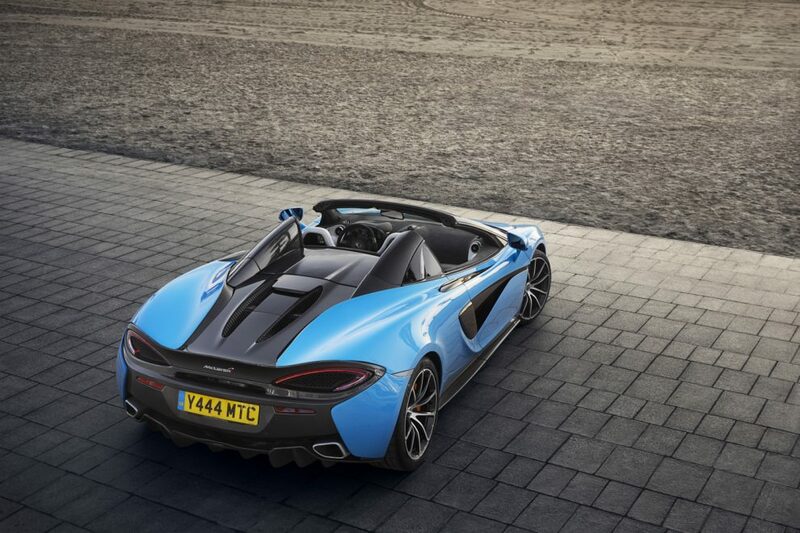 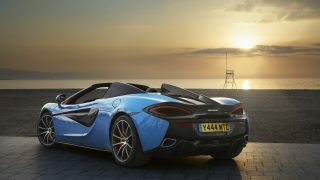 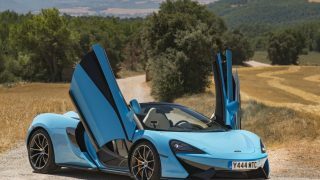 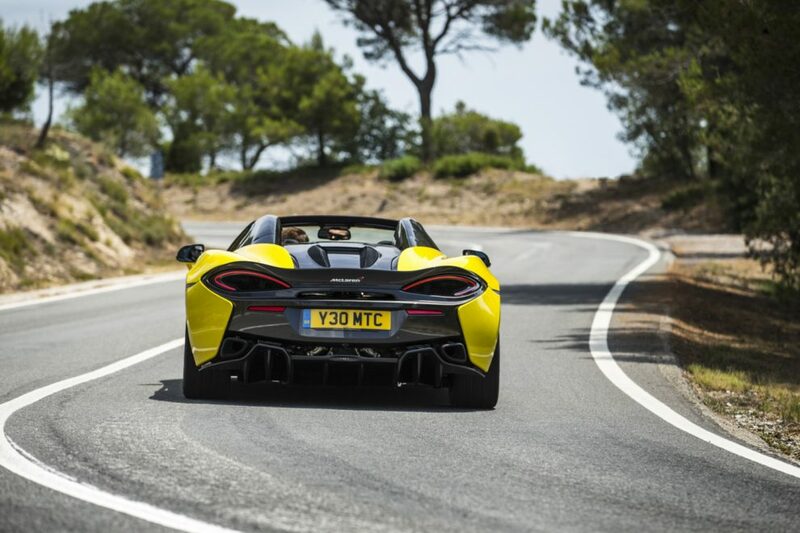 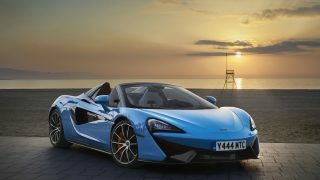 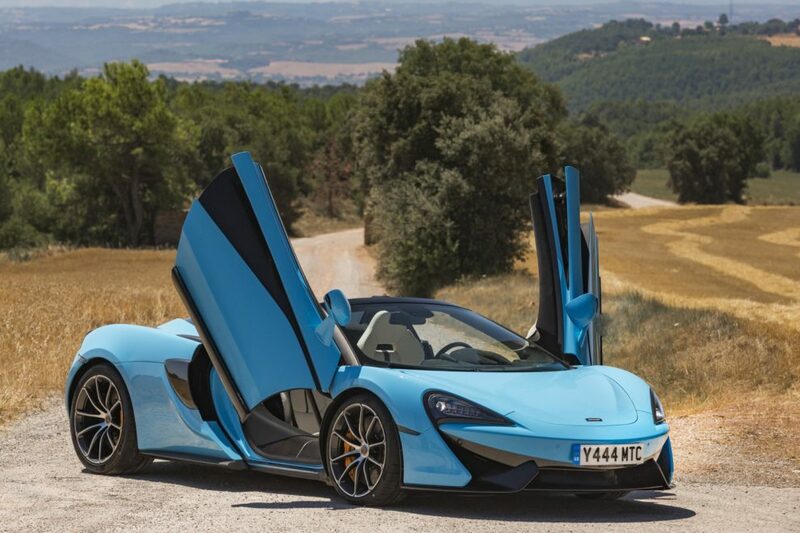 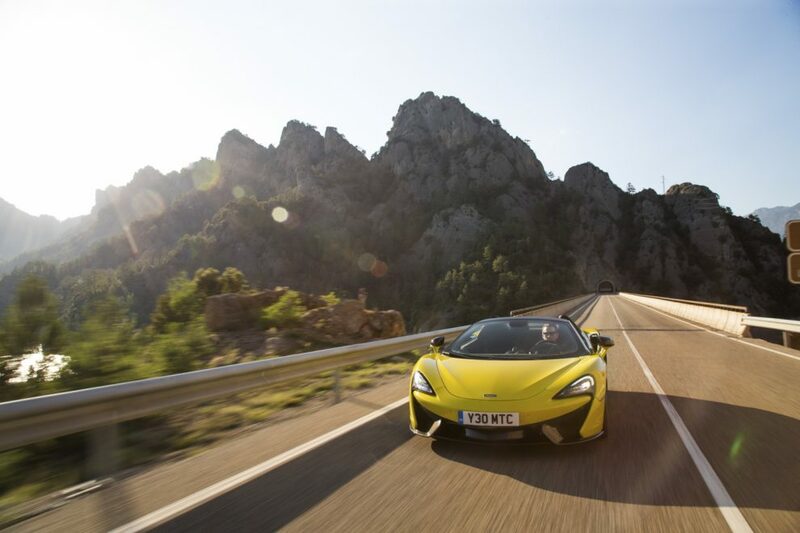 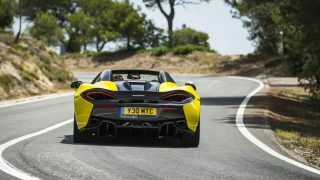 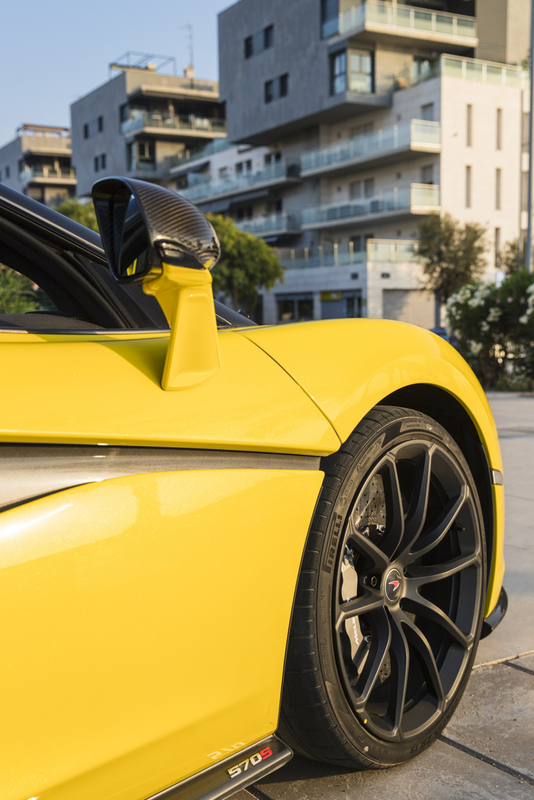 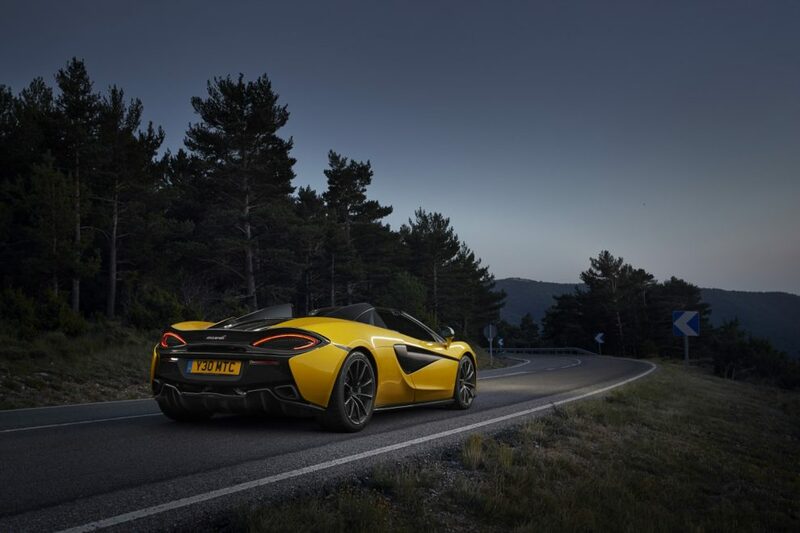 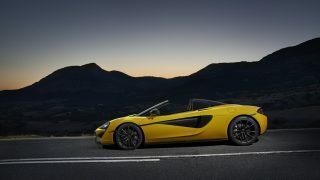 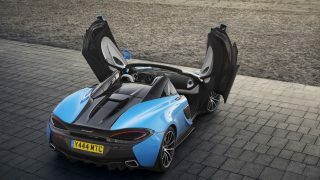 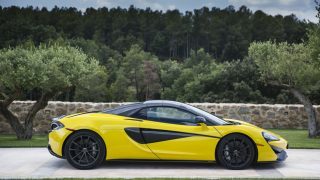 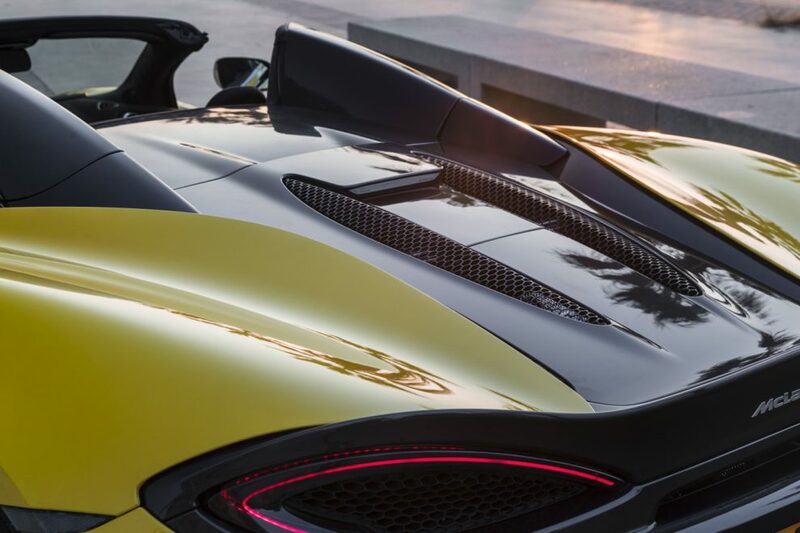 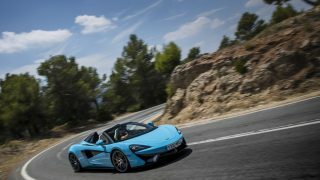 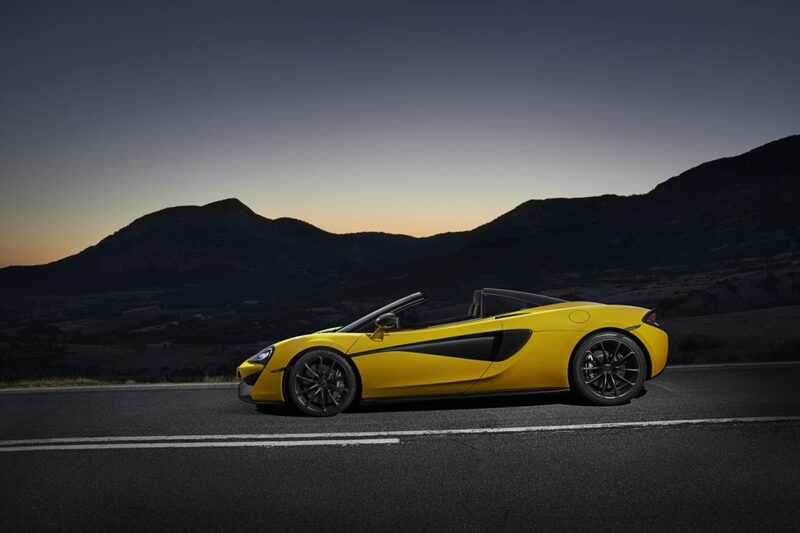 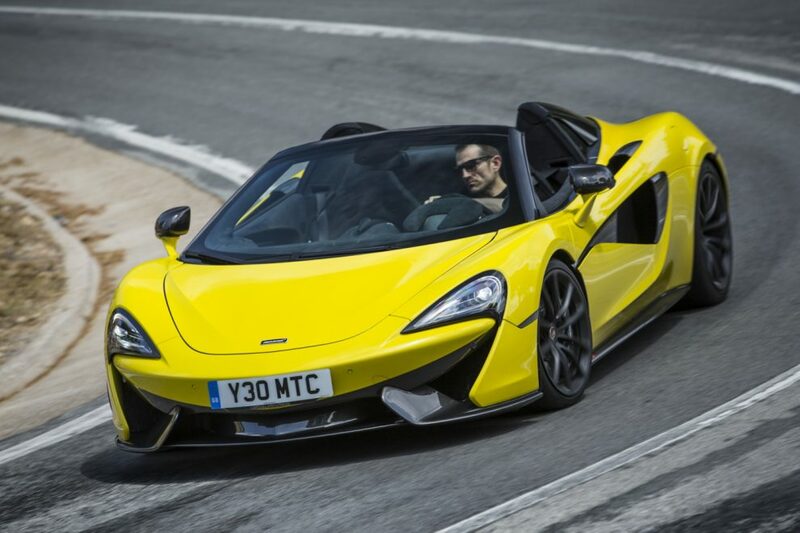 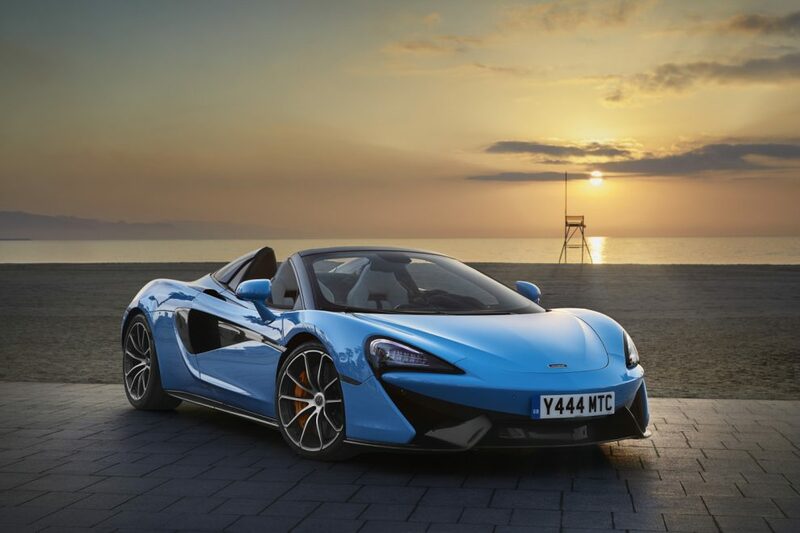 McLaren has now extended the Track Pack option for the McLaren 570S Spider. 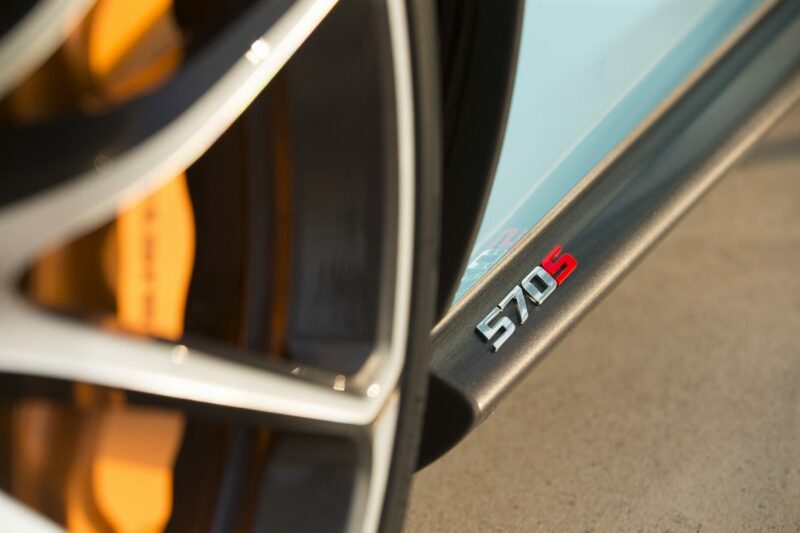 Previously available only on the 570S Coupe, the Track Pack adds lightweight options and Sport Exhaust for maximum driver engagement on track. 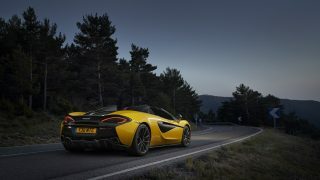 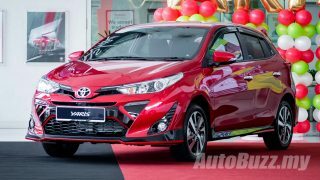 Available only on new vehicle purchase, cars with the Track Pack can be differentiated through the Dark Palladium Roof, super-lightweight 10-spoke forged alloy wheels in stealth finish and a Sports Exhaust with Stealth Exhaust tips. 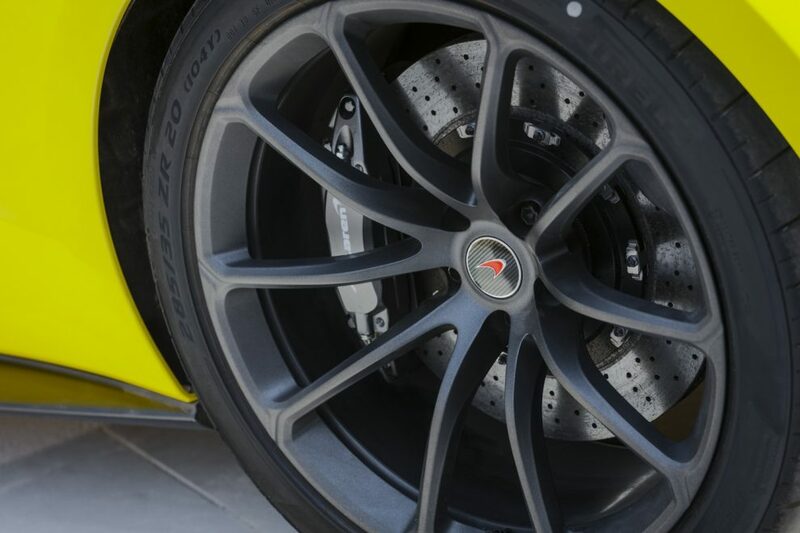 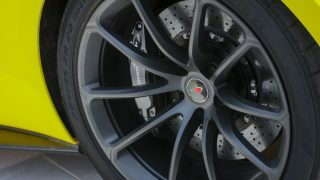 The new alloy wheels alone save a total of 15 kg compared to the standard wheels while having the full carbon fibre exterior pack delivers an additional weight savings of 6 kg. 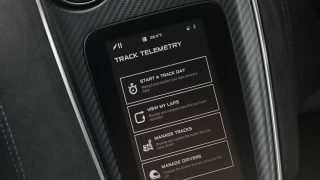 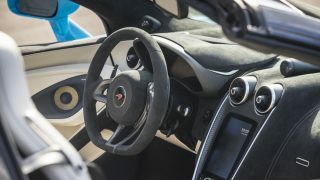 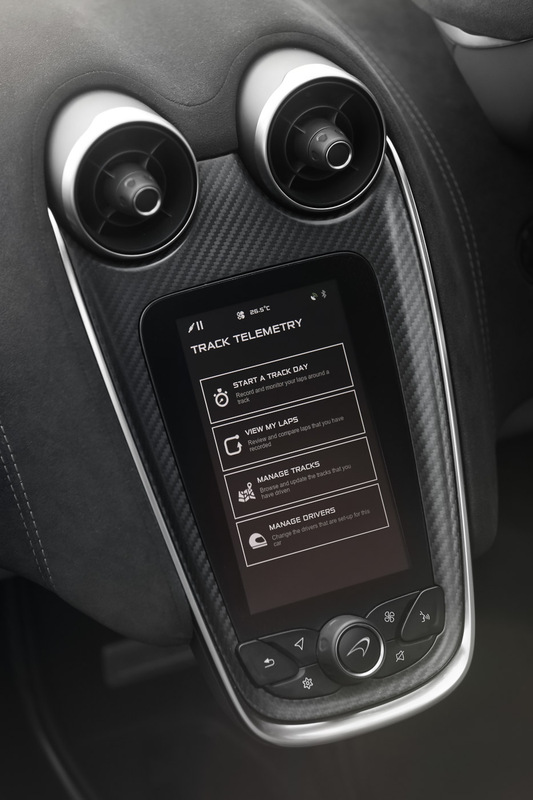 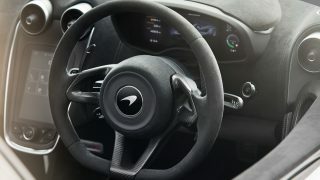 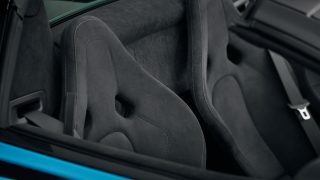 Inside, the Track Pack adds Carbon Fibre Race Seats that saves 13 kg compared to the standard Sport Seats, Carbon Black Alcantara Steering Wheel, carbon fibre interior pack and McLaren Track Telemetry (MTT) that provides a full rundown and data-logging of the cars on track performance. 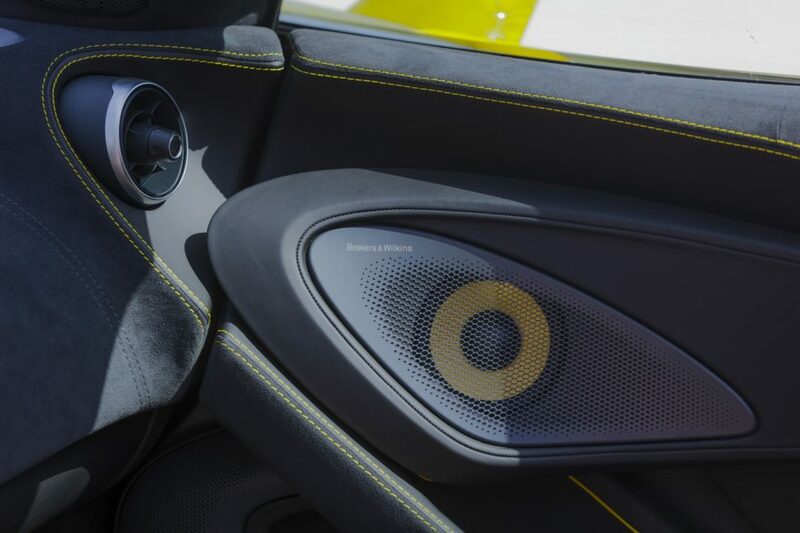 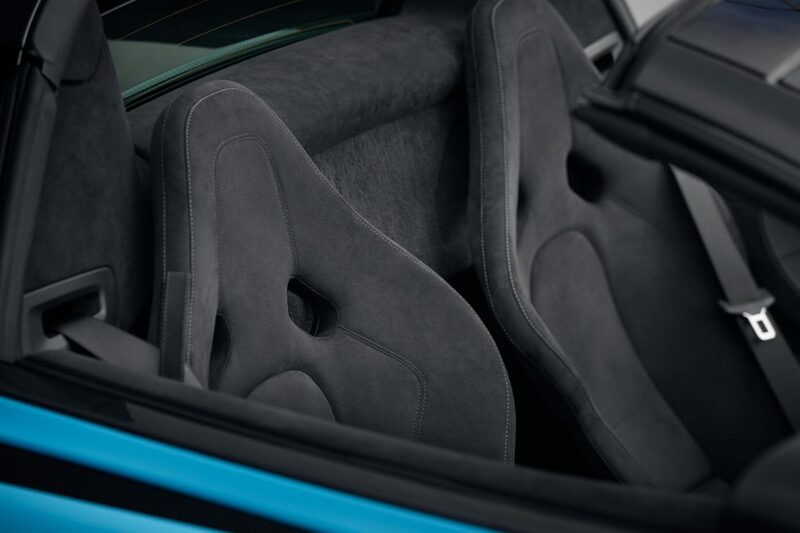 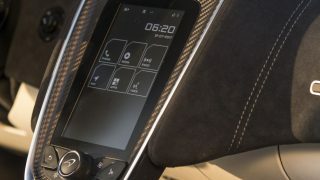 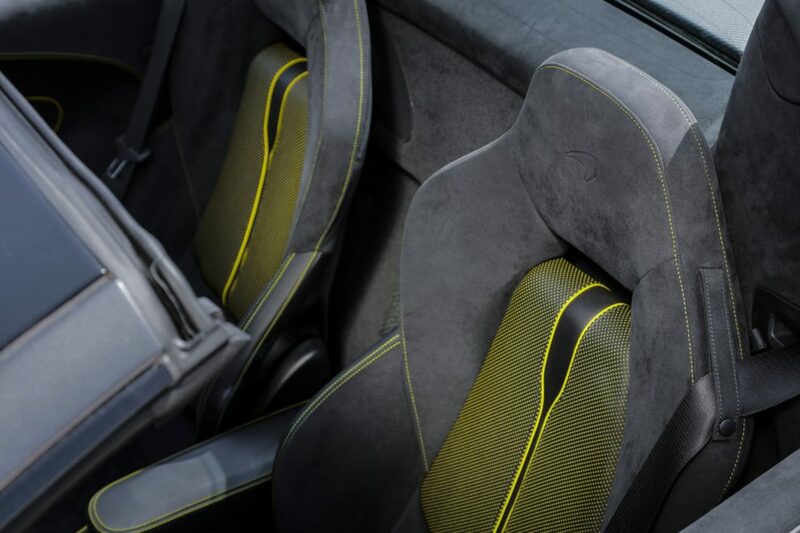 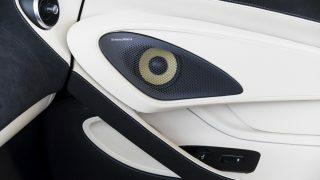 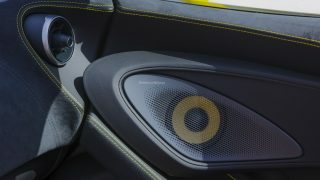 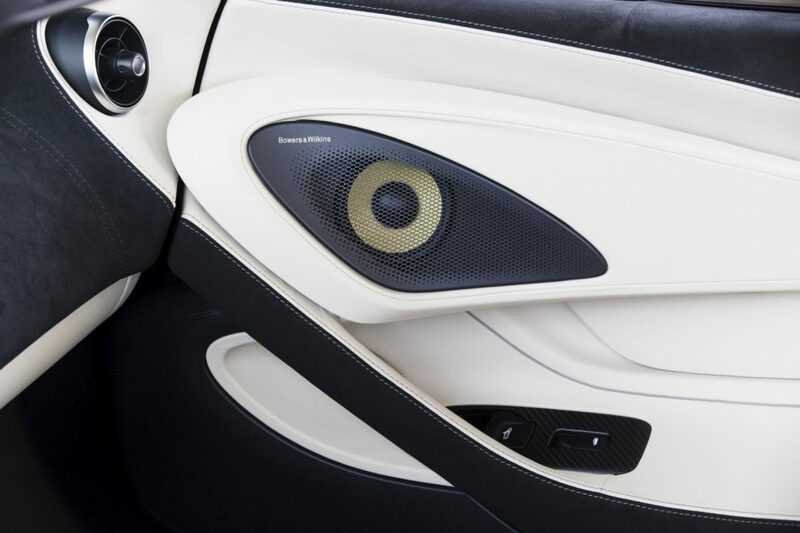 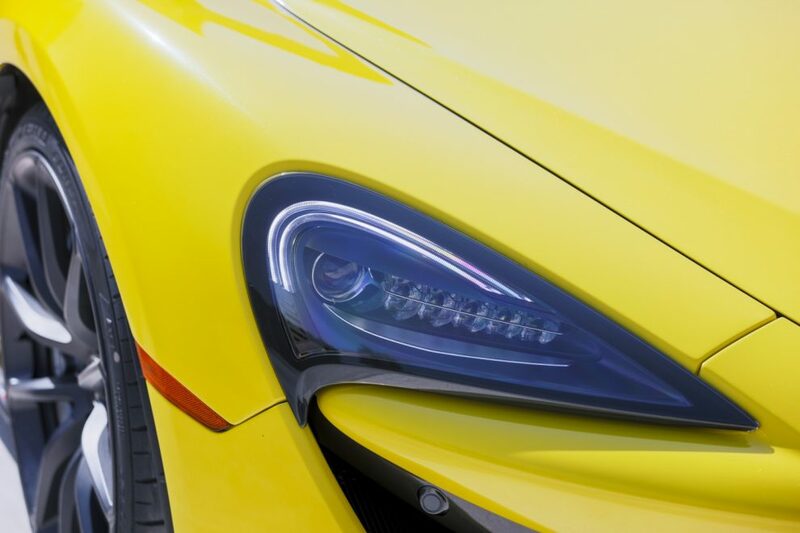 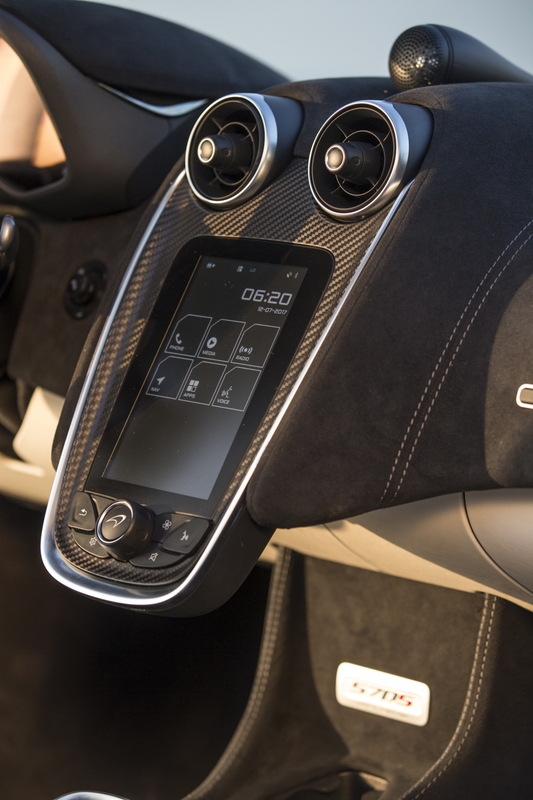 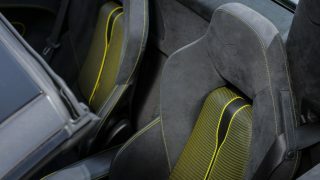 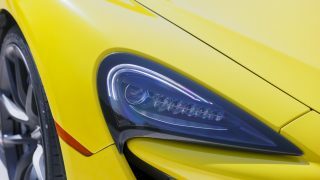 Buyers can choose from one of six By McLaren Designer Interior Sport Design themes. 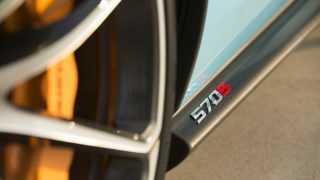 No upgrades were done to M838T 3.8-litre twin-turbocharged V8, continue to deliver 570 PS (562 hp) and 600 Nm of torque driving the rear wheels via a seven-speed dual-clutch automatic. 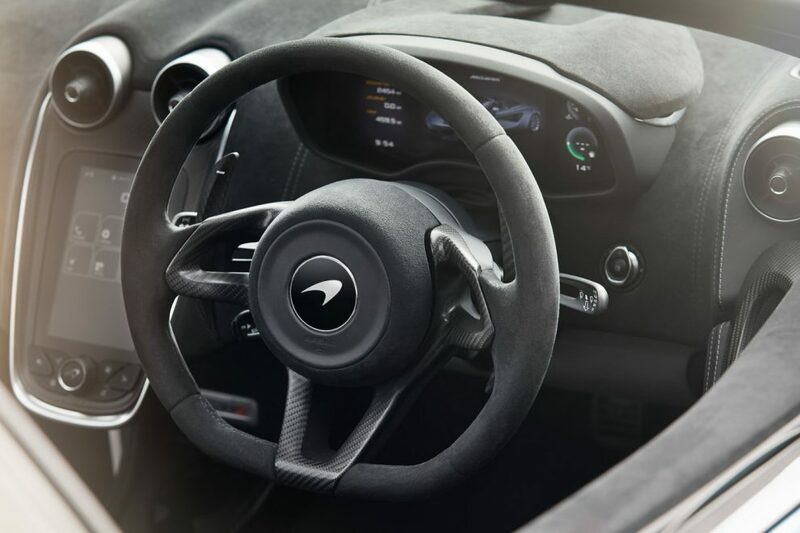 With launch control activated, the convertible will go from 0 to 100 km/h in 3.2 seconds, 0 to 200 km/h is achieved in 9.6 seconds onwards to a top speed of 328 km/h (roof up) – identical to the Coupe variant. 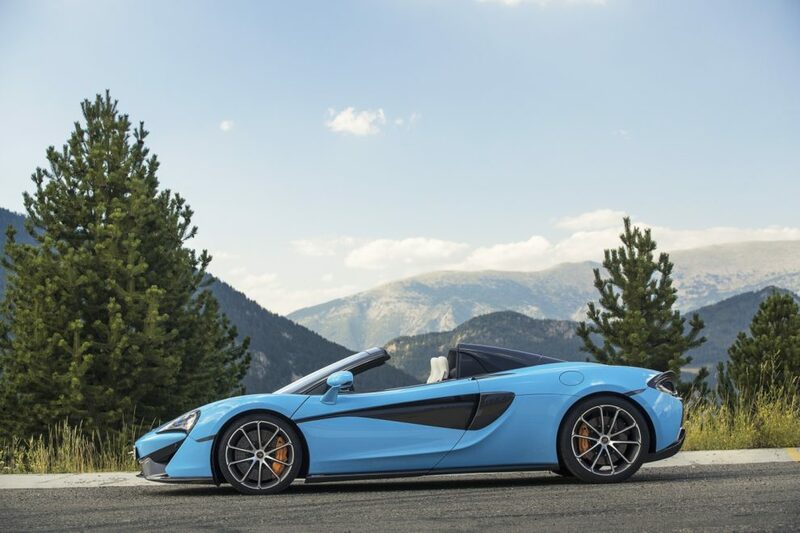 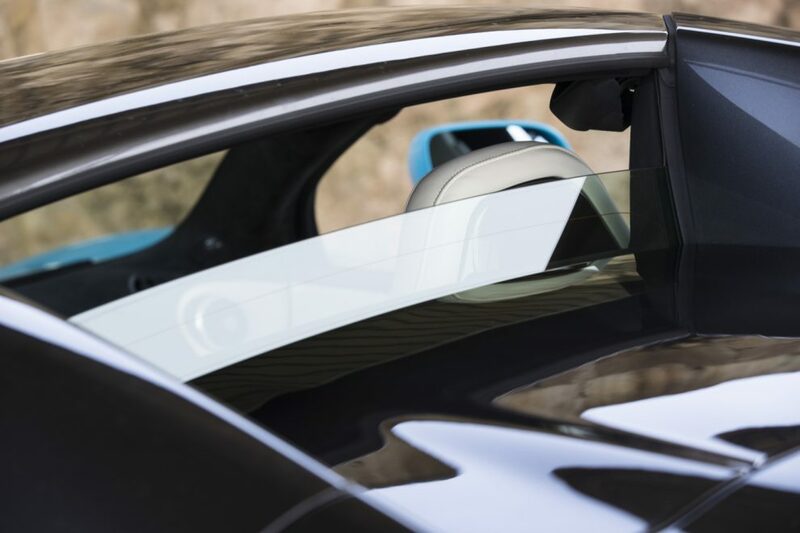 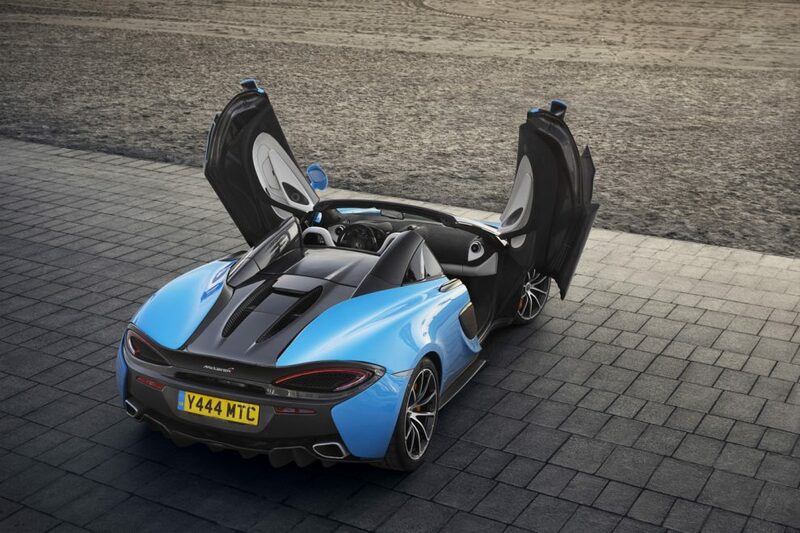 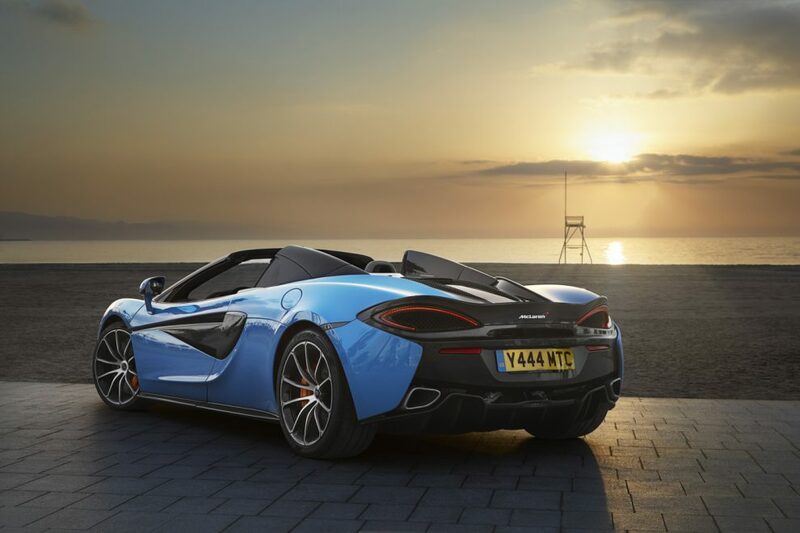 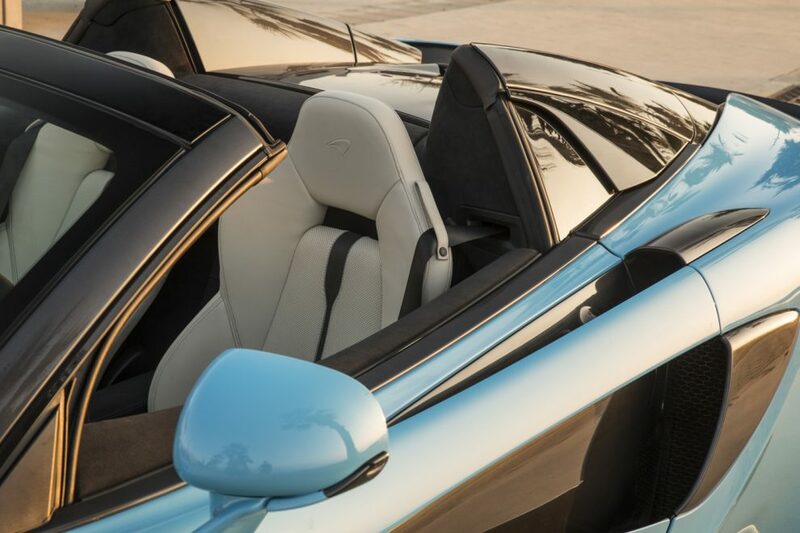 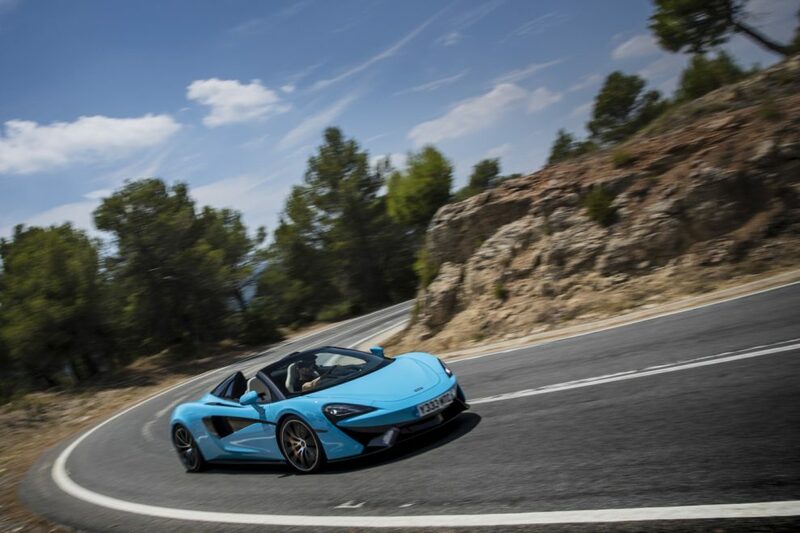 With the roof down, the 570S Spider can still hit V-Max of 315 km/h.